Comunn na Clàrsaich (The Clarsach Society) formed in Dingwall in 1931 celebrated its 75th Anniversary in 2006. 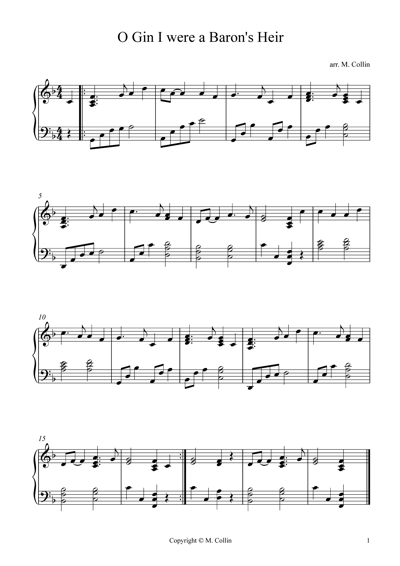 The Music Committee of Comunn na Clàrsaich decided to produce for the Society a 75th Anniversary Folio of music suitable for Elementary players. A number of our well-known composers and arrangers were invited by the committee to contribute appropriate music for this Folio for which we thank them. 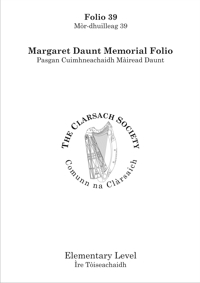 The Executive Council of Comunn na Clàrsaich decided to dedicate the 75th Anniversary Folio to the memory of Mrs Margaret Daunt. 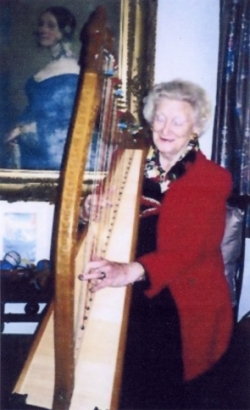 She was a member of the Society from its early days, and worked tirelessly to promote the Clarsach. From 1958 she was an Honorary Vice President of the Society until her death in 2006. Chomharraich Comunn na Clàrsaich, a chaidh a stèidheachadh ann an Inbhirpheothfharain ann an 1931, an 75 ceann-bliadhna aca ann an 2006. Cho-dhùn Comataidh Chiùil Chomunn na Clàrsaich leabhar comharrachaidh 75 bliadhna a thoirt a-mach le ceòl a bhiodh iomchaidh dha chluicheadairean aig ìre Bunasach. Chaidh cuireadh a thoirt dha grunn sgrìobhadairean is luchd-rèiteachaidh ceòl iomchaidh a chuir ri chèile airson an Leabhair seo agus tha sinn a’ toirt taing dhaibh. Cho-dhùin Àrd-chomhairle Chomunn na Clàrsaich an Leabhar Comharrachaidh 75 bliadhna ainmeachadh mar chuimhneachan air a’ Bh.Ph. Màiread Daunt. Bha i na ball den Chomunn bho na tràth-bhliadhnaichean aige, agus rinn i saothair mhòr airson a’ chlàrsach a bhrosnachadh. Bho 1958 bha i na Ceann-suidhe Urramach air a’ Chomuinn gus na bhàsaich i ann an 2006.